Here is a map contains territory of Belarus, of Russia, of Ukraine. city Homyel' download for free. You can find here city Bryansk download for free. Displayed city Mahilyow marked. city Vitsyebsk presented. You can find here city Smolensk download for free. city Orsha free download. Displayed city Zheleznogorsk free download. Displayed city Zhlobin marked. You can find here city Klintsy download for free. You can find here city Rechytsa for Garmin. city Roslavl' free download. You can find here city Vyaz'ma for Garmin. Displayed city Yartsevo free download. city Safonovo free download. Displayed city Novozybkov presented. city Lyudinovo presented. 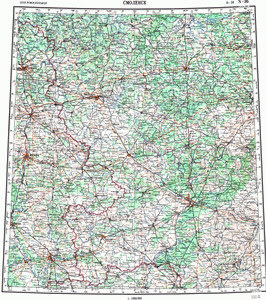 On this map city Kirov free download.